Strategically positioned along major sea lines connecting East Asia, South Asia, and Oceania, Indonesia holds a natural appeal for foreign investors. The country is the largest archipelago in the world, consisting of five main islands – Java, Sumatra, Kalimantan, Sulawesi, and Papua – and about 30 smaller archipelagos totaling approximately 17,508 islands. Aside from its geographical reach to major international markets, the country houses over 250 million people offering a viable domestic market for investors. In addition, the country has relatively low wage rates, which provide a cost-effective source of manpower for investors. Indonesia is rich in natural resources, mainly energy fuels, minerals, and abundant forests that provide important raw materials for industry, thereby offering a comparative advantage for investment. Apart from natural resources, the services and industrial sectors are key economic drivers, accounting for 46 percent and 40 percent of the country’s total GDP, respectively. Major economic sectors include: manufacturing (tobacco, food and beverages, transport equipment and machinery), mining, construction, transport and communication, finance, and real estate. Agriculture contributes a significant 14 percent to the country’s GDP. 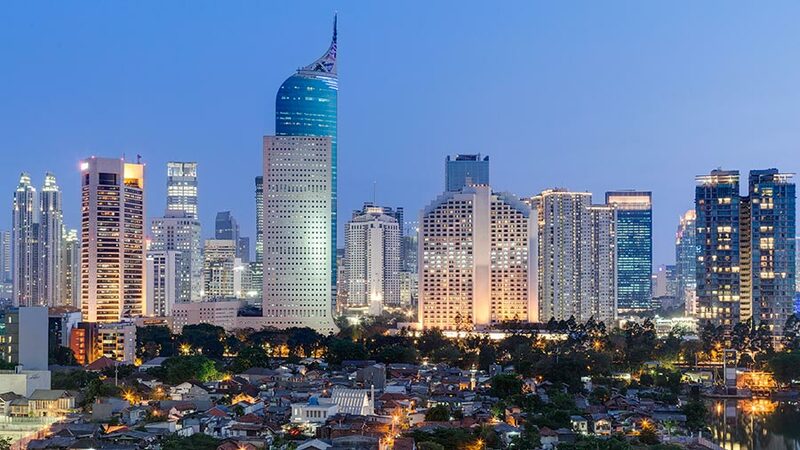 Over the past few years, the Indonesian government has announced a significant number of deregulation measures designed to improve efficiency and international competitiveness in the economy. Sectors that have been deregulated include banking and finance, retail and distribution, imports and exports, investment, industrial licensing, shipping, and tourism. The country now ranks at 72, up from 120 in 2015 in the World Banks’ Ease of Doing Business index. In line with its commitment to improving the business and investment climate of Indonesia, the government has released over 14 reform packages since 2015. The measures announced have led to a simplification of approvals and procurement procedures for large-scale infrastructure projects; faster approval of business licenses; a temporary reduction in tax on revalued fixed assets; cuts to energy prices; and changes in the way that minimum wages are calculated. Further, there has been an expansion in investment in public infrastructure, reduction in government regulation, opening up of new areas to private investment, and changes to corporate tax rules. For instance, the average number of annual tax payments that a firm is required to make came down to 43 in 2017, from 65 in 2015. Indonesia has a national investment service agency – the Investment Coordinating Board of Indonesia (BKPM), which is responsible for regulating the country’s investment conditions. BKPM provides one-stop services for foreign investors in the licensing process. Currently, foreign direct investment (FDI) in Indonesia is governed by the negative investment list (DNI), which specifies the sectors that are wholly or partially open to foreign investment. In 2016, the Indonesian authorities rolled out a new DNI, opening more sectors to FDI along with measures to streamline the investment process. New provisions allow 100 percent FDI in the sectors of e-commerce, cold storage, pharmaceuticals manufacturing, and film. To streamline investment procedure, the Indonesian government has built 70 industrial zones across 13 provinces that provide three-hour investment express service to facilitate foreign investors. Businesses can avail investment incentives such as duty exemption on the import of machines and income tax reduction, given that the investments fall under the designated business fields. Indonesia has one of strongest economic fundamentals in the region, stable governance and low political risk. Its public debt is well below 30 percent of gross domestic product – one of the lowest among emerging market economies; and inflation, moderating at around 4 percent. With strong investment and net exports, uplifted by improving global trade conditions and continued recovery in commodity prices, the World Bank expects Indonesia to expand more than 5.3 percent in 2018 – the fastest pace in five years.